RENTAL ~ 126 AVE C N.W. RENTAL ~ 521 WINTER TER. RENTAL ~ 525 AVENUE B N.E. RENTAL ~851 ORCHID SPGS DR. The City of Lake Wales Florida is located in Polk County and lies among rolling hills on the highest ground in peninsular Florida. In the valleys around Lake Wales, there are many clear lakes that furnish year-round recreational opportunities. The city is located in the geographical center of the Florida peninsula, and is accessible by U.S. Highway 27 (north / south) and State Highway 60 (east / west). Interstate 4 crosses the state 25 miles north of Lake Wales, and both the Tampa and Orlando International Airports are approximately 1 hour's drive away. Because of the region's rich soil and warm climate, citrus has been a major contributor to the local economy since the earliest days of Lake Wales. Recently, the area has been successful in attracting light manufacturing, construction and electronics firms. A regional mall opened in February 1996 which provides employment opportunities for an estimated 1,200 persons. 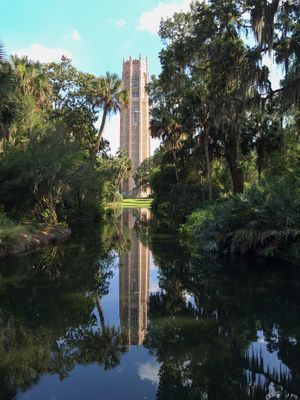 Bok Tower Gardens is a National Historic Landmark, contemplative garden, and bird sanctuary located north of Lake Wales, Florida, United States.